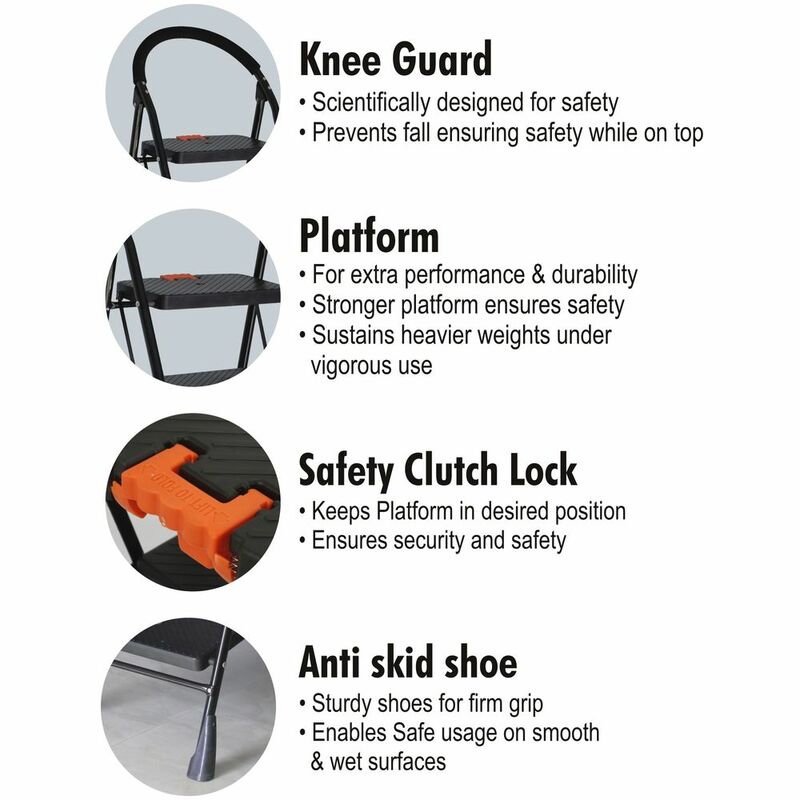 Cipla Plast ladder is the made with utmost attention to your safety. 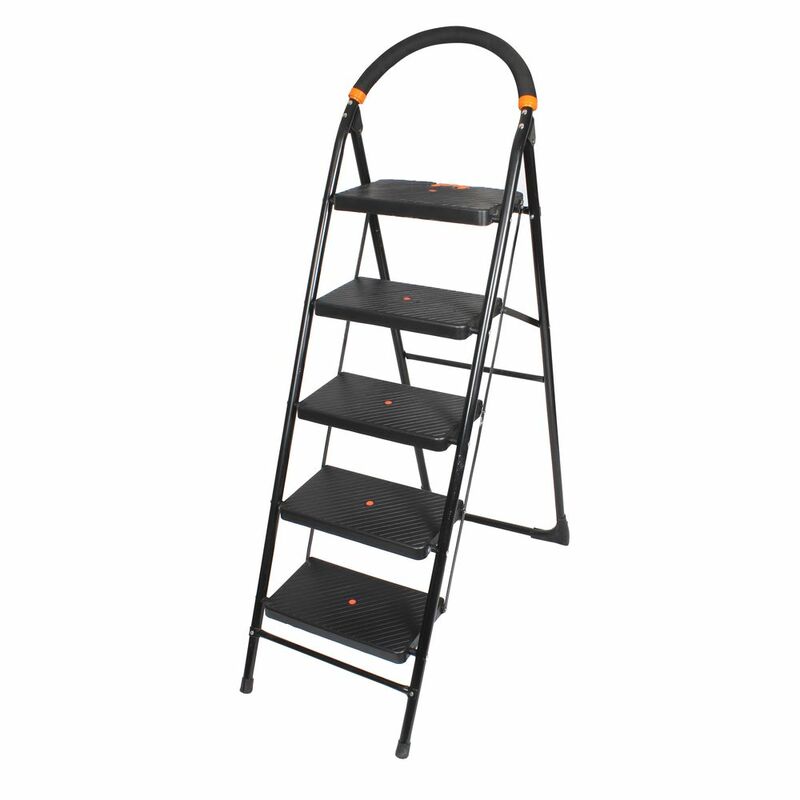 It is a high strength and heavy duty ladder for extra durability that has a load bearing capacity of 150 Kgs. It is easily foldable for carrying it around different locations. It is ideal for every household, office, warehouse, godown or shop needs that you may have. It is made of corrosion resistant structure for a longer life. Wide base design for firm, comfortable and safe climb. It has a cushioned top arch for better grip, comfort and safety. 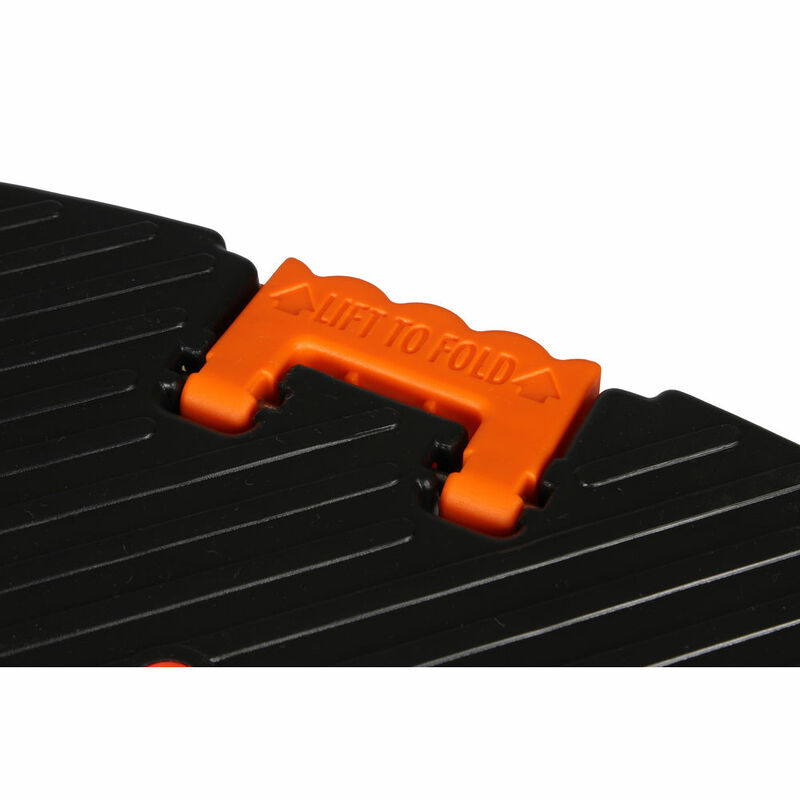 Also there is a safety Clutch Lock to keep platform in locked position for additional safety. 7 year warranty to keep you free from worries.